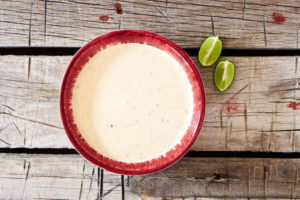 The easiest, tastiest fish taco sauce ever. Saying “ever” sounds a bit over the top but it’s true. The sauce is mild, yet tangy, smoky and smooth and really brings out the flavor in fish without overpowering it. Try it with our pan-fried fish tacos. Just substitute it for the pico de gallo. The only prep work this recipe requires is finely chopping the chipotle peppers and the clove of garlic. The rest of the preparation is just stirring. Easy right? 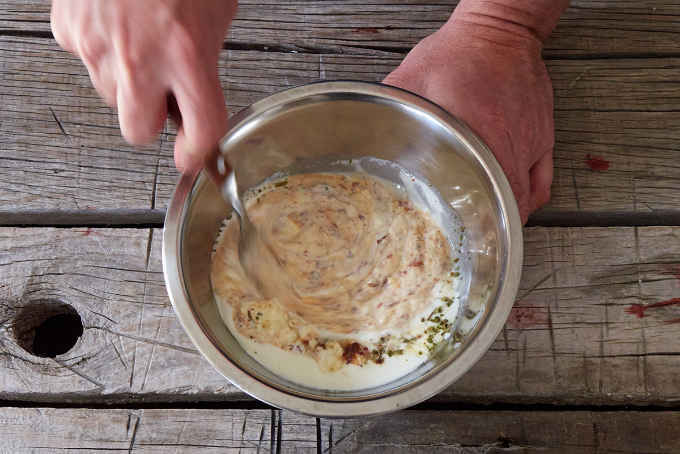 Put all of the ingredients in a mixing bowl and give it a good mix with a fork. That’s it. Nothing to it. 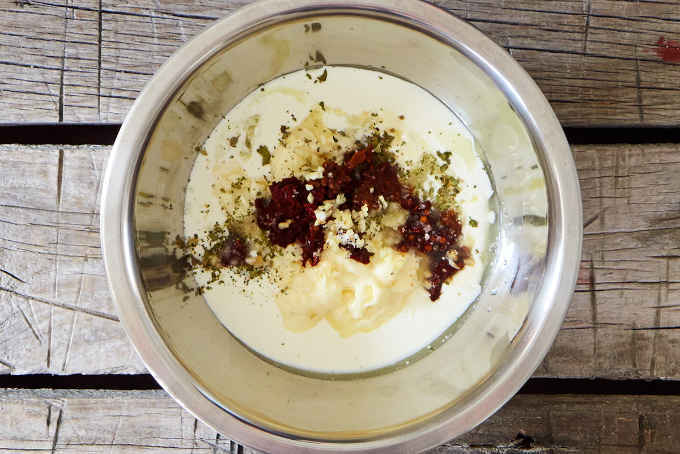 Once the ingredients are fully mixed, place the sauce in the refrigerator for two hours to let the flavors meld. Giving the sauce time really improves the flavor. The sharpness of the garlic and lime juice mellows and the smoky chipotle shines through. Don’t believe it?. Taste the sauce when you first mix it and then taste it after 2 hours. You’ll notice the difference. How does it look? The best fish dressing ever. Provecho! 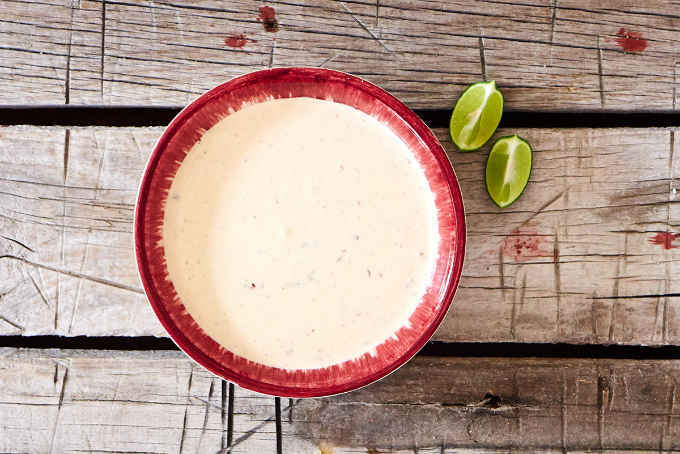 The easiest, tastiest fish taco sauce ever. Really! It's mild, yet tangy, smoky and smooth and really brings out the flavor in fish without overpowering it. Use with battered or grilled fish tacos. Give it a try! Finely chop the chipotle pepper and the garlic clove. 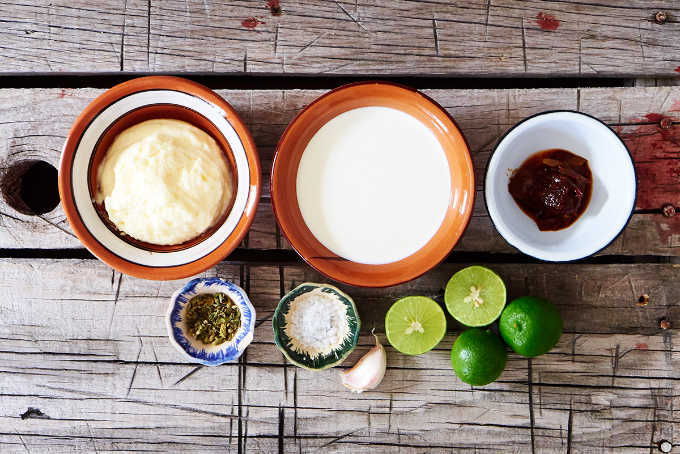 Place all of the ingredients in a mixing bowl including the lime juice. When you add the oregano crumble it with your fingers to break it into smaller pieces. Stir briskly with a fork. Refrigerate the sauce 2 hours before serving. If you prefer a spicier sauce, just add 1 or 2 more chipotles. 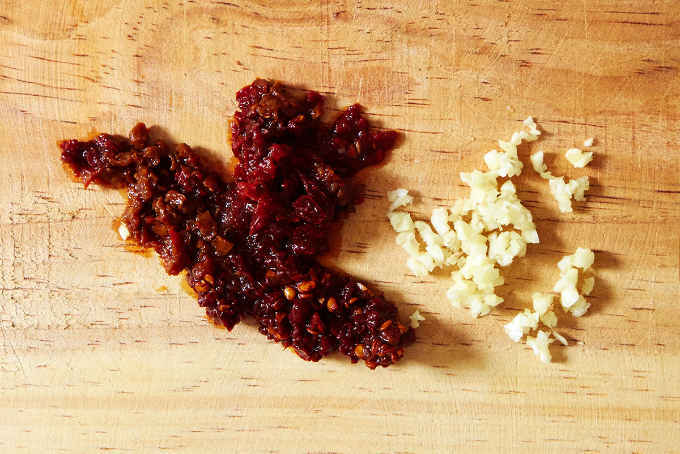 Adding 2 chipotles will give it a big boost in heat and chipotle flavor. 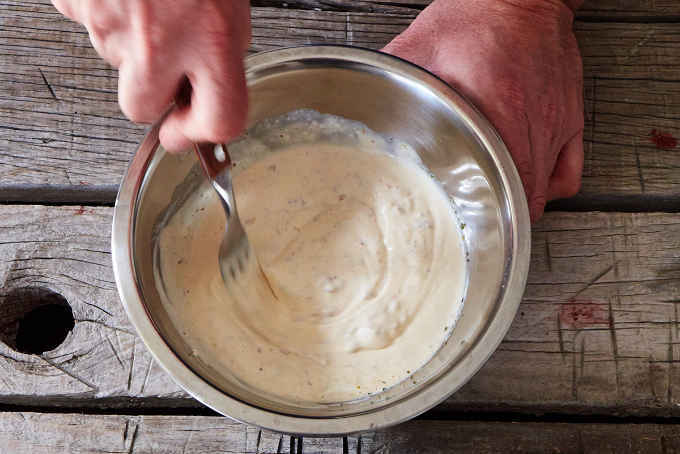 Try this sauce as a sandwich spread too. It's a big step up from plain mayonnaise. This sauce will keep well for 3 days in the refrigerator. Awesome! We loved it! Wonder if it can be frozen. We had lots left over! Took 5 minutes and was delicious! Awesome! Glad you liked it. Cheers! Yummmmy!! 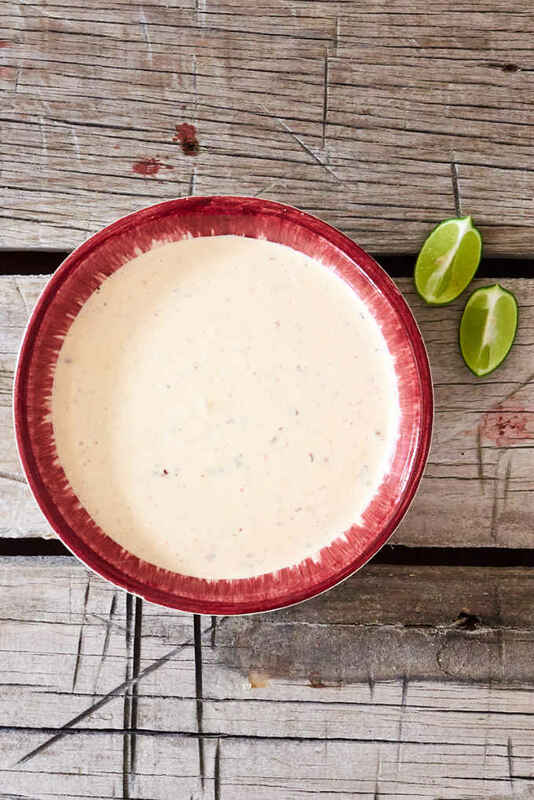 Only sauce we make with our fish tacos! And my hubby is wanting them twice a week. Keeps very well. I blend it up in my nutribullet and store it in there as well! Yummmmy!!! Only sauce we use for our fish tacos! And hubby is wanting them twice a week. I blend it up in my nutribullet and store it in there as well. It keeps very well! !